After the huge success of the labels' last release from Chymera, Master-H's wonderful Komplex de Deep label prepares to drop its seventh release and debut vinyl, and welcomes Aubrey to the family. Allen Saei aka Aubrey has over 22 years hands on experience of the scene. His DJ career took him from his first residency in Portsmouth's 'Central Park', to playing London's biggest raves and parties in the 1990's, sharing the decks with the likes of Carl Cox, Groove Rider and Mr C.
01 compilation, mixed by Craig Richards. 2010 has already seen his single 'Dark' released on Belgian label Mowar, and today he steps up with 'High Pass Highway' EP. A selection of sounds, all with that oldskool touch and feel. The title track takes us on a wonderfully groovy, laid-back trip, whilst Its 'Low Pass' sibling delves deeper, with wonderfully warm keys and beats. Master-H lends his skills to High Pass Highway, adding a sharper edge and touch more weight. Rounding out the package are two contrasting numbers. The crazy, warped sounds of 'Rhythm Jism' and the melodic yet driving 'Capture'. Raresh - "Capture is wonderful!" Norman Nodge – (Berghain) - "Cool, deep stuff that makes me want to play it loud and dig for some old "cheap knob gags" stuff ;-)"
Orde Meikle - (Slam) - "Another strong release from this top french house label - cool house!" Rainer Trueby - "Yes, totally dig the funkyness of the High Pass Highway!" Federico Grazzini – (Tenax) - "High+Low Pass Highway… this is deep!" Kasper - "Wow, this must be one of the best records ive heard lately. Really Detroit influence and spaced out house music. Will play all of the tracks but my favourite is Low Pass Highway. Amazing production also." Nuno dos Santos - "Aubrey is back! Yeah!! Rhythm Jism & Capture are the ones here for me.. will play!!" Danny Tenaglia - "High Pass Highway Original!" Sven – (Zander VT) - "Great EP!" Delete - "High Pass Master H edit is a cool deep one!!" Josh Wink - "All tracks are good deepness! Yet, to play out I believe I will be playing the Rhythm Jism." Laurent Garnier - "Tres bellllle slow deepness bien moody .........et le track Rhythm jism ...hummm!!" The Timewriter - "Low Pass Highway and Capture for me here. Cool stuff." Mihai Popoviciu - "Capture is top class!" Jay Bliss - "Wonderfull release. I like all tracks, especially Rhythm Jism. 5/5." Lee Jones – (MyMy) - "Low Pass Highway nice vibes!" Jona - "High Pass Highway is very good!" Behrouz - "Will play the High Pass Highway Master H edit." Willie Graff - (Pacha Ibiza/Cielo NYC) - "Nice music from Aubrey. My favorite mix here is Master H's edit. Keeping the original vibe with a little more pump. Will try it!" Brothers' Vibe - "Its ALL good! Strong EP." DJ Yellow - "Master H edit is ace ... will def play this on my radio show." Samuel L Session - "I have always been into Aubrey’s moody and funky workouts and this is no exception!" D'Julz - "Always been a huge fan of Aubrey , it's great to see him back full support!" Greg D - (Fish Go Deep) - "Cool release high pass original for me loved the Chymera release big track for us. Keep it up!" Chris Carrier - "Nice EP!" Arnaud Le Texier - "Like a lot Capture and Rhythm Jism remind me the time of deep techouse!" DJ W!LD - "Rythm Jism, yessssss will play for sure!" Till von Sein - "DOPE! Great package..love the breakbeat in High Pass Highway!" Jose Maria Ramon - (Ibiza Global Radio) - "Nice ones ;) sure play on Ibiza Global Radio." Diversions - (CHRY 105.5FM Toronto, Canada) - "Lots of divergent sounds here - especially like the mellow vibes of LOW PASS HIGHWAY and the driving oddball RHYTHM JISM!" TheClubbing.com - "To review it. As nice as the 006! So a review, too!" Tsugi Magazine France - "Nice one deep and groovy!" Federico Molinari - "Nice EP!" Alex Picone - "High Pass Highway ..all my support." Stuart Patterson – (Faith Fanzine) - "Into High Pass and Capture." Break 3000 – (Dirt Crew) - "Low pass Highway is really Deeep! love it!" Alex Valera – (Men In Trees) - "Nice release. Capture is the one for me. Will play it for sure!!!" Deetron - "I seriously love High Pass Highway and Capture, great work Allen!" Terry Francis - (Fabric) - "Like it Aub's!" 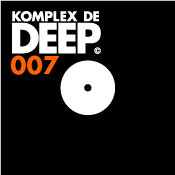 Joris Voorn - "Nice and Deep stuff!" Andrew Grant - (DC-10/Barraca) - "Love the rawness with color approach....groove is perfect!" Seth Troxler - "High Pass Highway mixes for me." Rene Breitbarth - "High Pass, Low Pass very good!" Graeme Reedie – (Silicone Soul) - "Capture is lovely thanks J"
Paul Hamill - (Across The Line-BBC Ulster) - "One of my favourite house labels, they always delvier." Kiko - (DocePulgadas RadioShow) - "Very playable tracks for my lounge gigs! supported by DocePulgadas RadioShow." Roual Galloway - (Faith Fanzine/Radio) - "Slow jam funk!" The Phonic Express - (RTE Pulse, Dublin) - "A really consistent label. Low Pass Highway is a cool edgy cut as its Master H edit. Will play both all over." Christopher Çolak - (Dinamo.FM/Acik Radio Istanbul) - "One of my current favorite labels. Essential release. Love all tracks all tasty and delicious." Steve Parry - (Juice FM) - "Uber cool timeless stuff from Master H!" Russ - (i-DJ magazine) - "Low Pass Highway...Nice!!" Oli - (i-DJ Magazine) - "Loving the old school feel of these tracks - straight up simple grooves delivered with real passion and flair J"
F.E.X - "Capture is the one i want to play here, best!" Liapin - "Master H Edit for me! Will play it!" Steve Rachmad - "Rhythm Jism is my fav here." Ryan Crosson - "Will try Low Pass!" Alex Dee - "High Pass Highway is the pick for me!" Rocky - (X-Press 2) - "Tres deeeep!. OG for me the best." Ray Okpara - "High Pass highway is my fav." Michel Cleis - "Really nice EP!" Giorgio - (DJ Mag Italia) - "Will review for DJ Mag Italia!!" Christian Kausch - (Partysan.net) - "Soooo deep!"